Lipstick Queen is a brand that has been on my radar for a while, I even used one of their lip liners as part of my wedding makeup, yet I didn’t actually know much about them as a brand. I like to think of myself as a lipstick queen. When I was young, I used think lipstick made me look too ‘done’. Now, having seen lipstick used on myself on so many photoshoots, I feel the complete opposite. I feel at my best when wearing lipstick. I could attend a glamorous event in jeans and heels and as long as I am wearing bold lipstick, I will feel as good as the ladies in their fancy dresses. So who is the Lipstick Queen? At 18 years old Poppy King created her first lipstick brand in Australia, Poppy. The brand was inspired by Old Hollywood Glamour matte reds, browns, and burgundies that were unavailable at the time in Australia. The brand gained cult following with Poppy turning over $8 million. Meanwhile, Poppy moved to New York City in 2002 where she worked at Estée Lauder for a period. In 2006 she left the Lauder corporation and founded her new brand Lipstick Queen, now eleven years old. 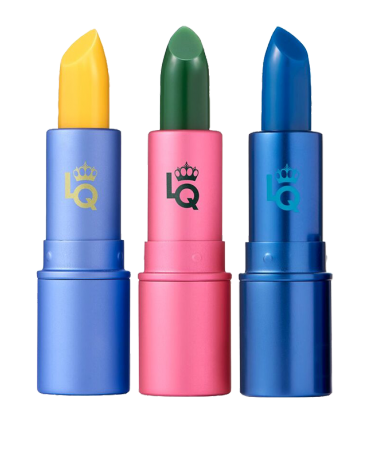 Today Lipstick Queen has cult status and best-selling products in SpaceNK, Birchbox and Ulta. Let me introduce you to a few of them. 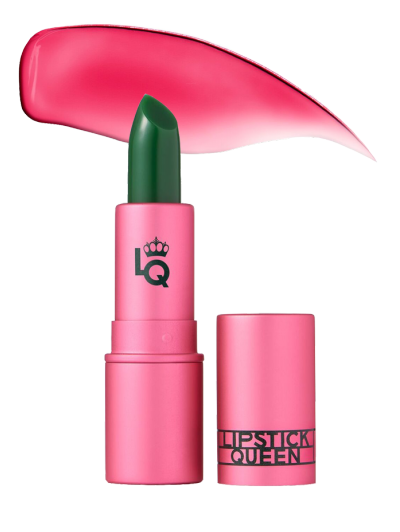 This is Lipstick Queen’s best-selling lipstick, and I can understand why. 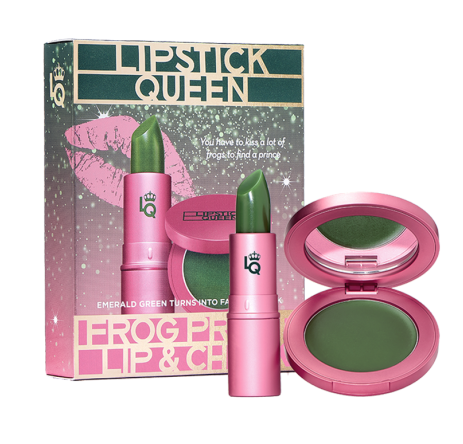 Frog Prince lipstick is a green lipstick that transforms into rosebud pink when applied to the lips. It adapts according to your pH and skin tone to create your most flattering shade of pink (check out my Instagram post below to see a live transformation). No two pairs of lips will look the same, appearing entirely different yet beautifully flattering on everyone. I love it because it is so hydrating, it feels like a balm but gives you a beautiful pop of colour that stays with you all day. Vitamin E and Shea Butter keep lips soft, hydrated and deliciously kissable and the colour leaves a stain so your lips never look naked! I am in love with this product and think it will make a perfect Christmas gift for anyone, it also comes in a set with the Frog Prince blush (see below). 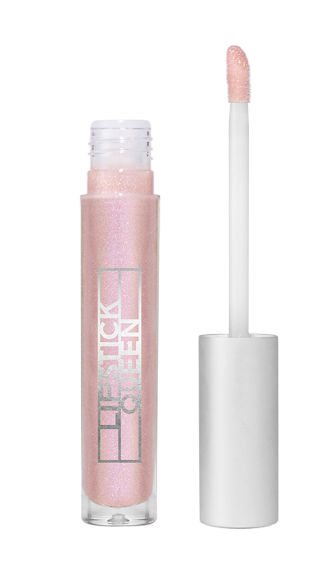 The newest Lipstick Queen launch, Altered Universe Lip Gloss. This lip gloss would make such a great stocking filler. 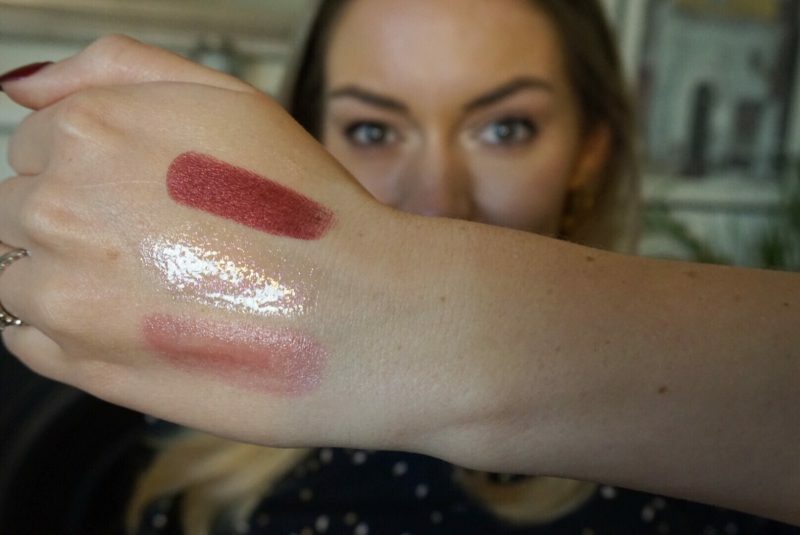 An illuminating gloss, stunning when worn alone or paired over lipstick. I think it would look great over Frog Prince. Each gloss contains crushed pearls that act as radiant illuminators designed to capture and reflect light spectacularly. The effect is an incandescent, glowing beauty that lights up the face. 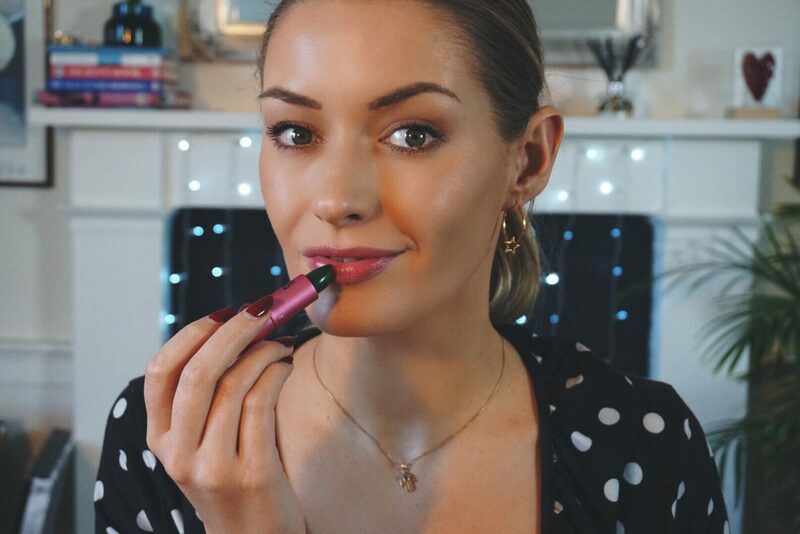 I am not normally a lip gloss lover as I can find them sticky to wear, but this one gives the full impact of a gloss without any of the stickiness. I love that once the gloss has worn off throughout the day, the sparkle stays on your lips. I am wearing shade Time Warp. I used this lip liner when doing my own wedding makeup and regularly use it when I can’t find an exact match for my lipstick. I use it with so many different shades of red, it makes it so much easier than having to find exact matches to lipsticks (and much more economical than buying a liner to match each lipstick!). The Invisible Lip Liner works wonders with any lip colour. The Invisible Lip Liner creates the perfect base for your lip colour, works with all lipsticks and lip glosses with no feathering. A perfect winter blackberry shade with an irresistible magnetic allure. An intense satin finish that isn’t obviously metallic. Achieved with the use of ultra-fine metallic pearls in high concentration with rich pigments. These are balanced with high levels of anti-oxidant Vitamin E and incredibly nourishing Apricot Kernel Oil allowing a smooth, drag-free application. 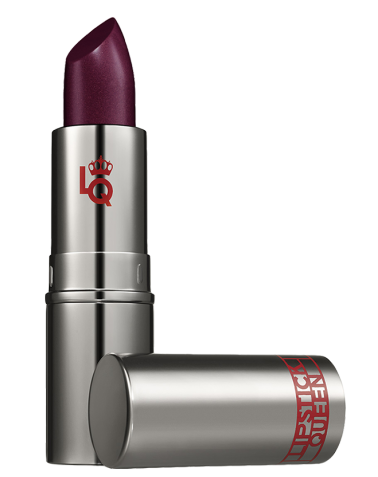 It is ultra-comfortable to wear and leaves lips moisturised and cloaked with luxuriously rich and intense coverage. I wore it without a lip liner and had no feathering but you could match it with the Invisible Liner if you were worried. Top – Noire Metal. Middle – Time Warp. Bottom – Frog Prince. Looking for a Christmas gift? These sets are great additions! Let me know if you try anything from the brand in the comments below. REFERENCES: Sophie Haslett For Daily Mail Australia, read the full article here. Into The Gloss, read the full article here. PR samples & affiliate links included. Read my full disclaimer here. Next Post Sent with love, your tiny letterbox Christmas Tree.